2019 started with a bang! Now, it is time to channel that energy to get your music forward and develop your career. 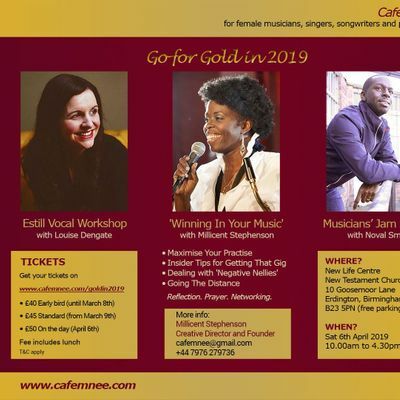 Join us on Saturday 6th April for a Cafemnee workshop designed to help you take the steps you have been hesitant about and open your path for amazing new experiences in the music scene. 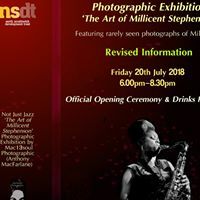 Our director, Millicent Stephenson, will unveil key strategies to get a gig: how to address people, manage phone calls, reply to enquiries and advertise what you do. Get a boost of confidence to be able to talk about your skills with conviction and make new contacts and music friends with ease; learn how to shake off negativity and insecurities to keep moving forward and let your passion shine through. 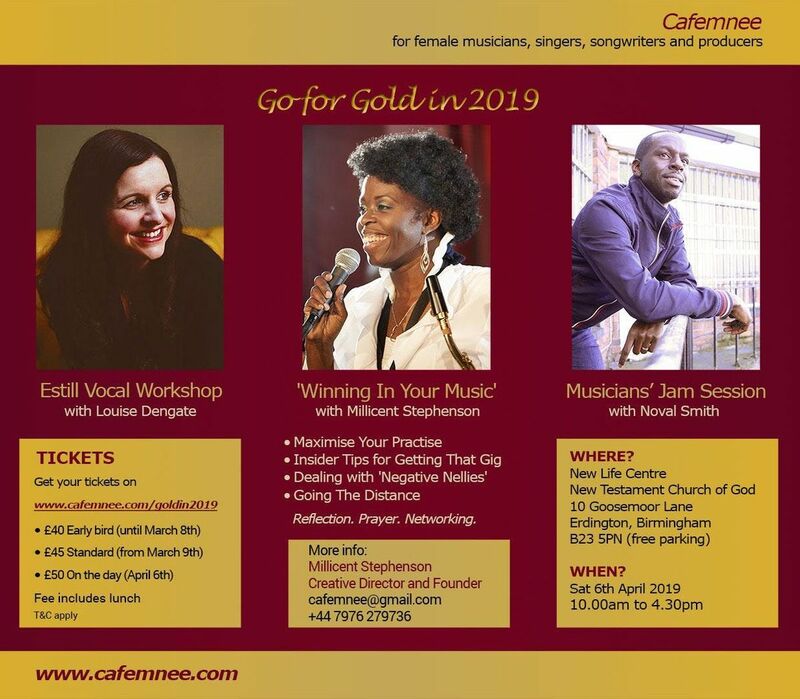 The exceptional vocal coach Louise Dengate will give a vocal workshop where she will talk you through vocal health, audition work, repertoire and much more. For the Jam session, we welcome for the first time Noval Smith, keyboard player for Donnie McClurkin, Ruby Turner and Millicent's show 'Not Just Jazz', also he is an outstanding Producer. Noval will bring his unique style that will enthrall Cafemnee newcomers and regulars alike. Be prepared for a great day filled with music, personal growth, friendship and yummy food (by the way, don't forget to tell us if you have any dietary requirements). Early Bird ends 8th March, so be sure to book in soon!